You might still be reveling in all the fun delivered by the latest update to the Transformer Prime firmware, but ASUS has some even better news — Ice Cream Sandwich is coming, and soon! 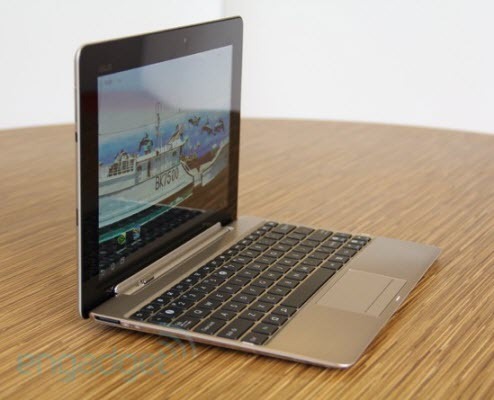 The new year has just begun, Asus had released the new updates for quad-core Transformer Prime. Currently, we are still waiting for its Icecream Sandwich update that committed, this update is 8.8.3.33-20111223 version, can be conducted by OTA. In addition to adding the number of overall snappiness, but also enhance the camera’s focus function and touch experience, meanwhile, enhance GPS positioning speed. We also look forward to a number of bug fixed, “enhanced GPS speed”, this is good news, because, according to reports, there is a problem that GPS on Transformer Prime can’t lock position. Today, Asus Transformer Prime is available. Perhaps you are hesitant to buy this tablet. In the first place, let’s have a look its detailed features. Eee Pad Transformer Prime has four types, like 32GB (not include keyboard), 32GB ( Complete kit ), 64GB (not include keyboard), 64GB ( Complete kit ). Of course, different type with different price. There are two colors, euipped with android 3.2, soon after, can be upgraded to android 4.0. At the same time, Asus also supply 8GB cloud storage which is named Asus Webstorage.